When it comes to hair, I'm one of those weird people who'd prefer my dream hair color and style than a perfectly healthy set of locks. As expected, my hair philosophy has left my hair pretty much fried. Apart from getting my head digipermed a while ago, I've also been continuously dyeing my hair. Not to mention, I've bleached it twice too! So when I received a timely invitation for a hair treatment, I figured I should grab the opportunity. Even before going to the Macadamia Muse Party at Piandre Salon, I already did my own research and found out that the Macadamia Natural Oil line of products is geared towards healing, especially dry and damaged hair. And as its name suggests, it contains Macadamia Oil which rejuvenates dry and brittle hair, as well as Argan Oil which is another valuable oil for hair (and even skin) replenishment. So yes, expect this product line to be effective as it contains not just 1, but 2 of the most important oils for hair care. 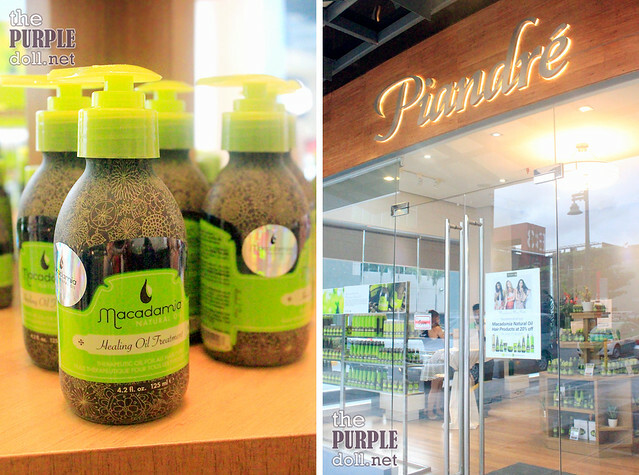 Entering Piandre Salon on the day of the event felt like immersing myself deeper into what the Macadamia Natural Oil line of products can offer. 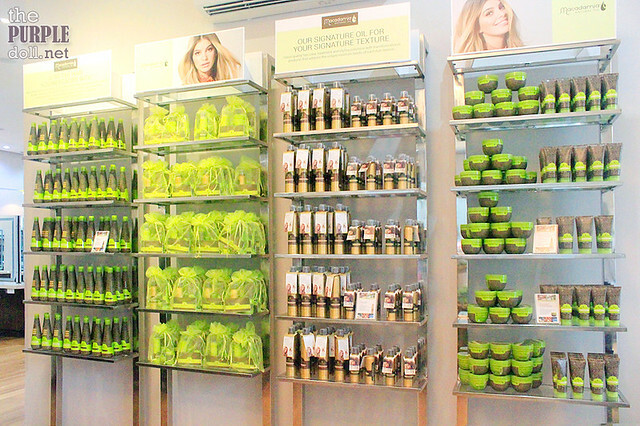 Every nook of the salon has Macadamia Natural Oil products displayed. And I was actually surprised to find out that they don't only carry products for Care and Treatment, but also for Hair Styling. After getting treated to drinks and light snacks, I was ushered to a seat and was asked to choose which Macadamia Natural Oil Hair Treatment I wanted to try. Among the four, you can already tell which one I badly needed. Yup! 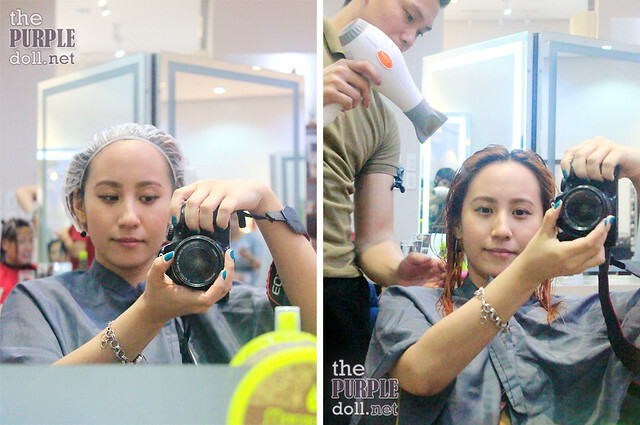 I went for the most perfect treatment to replenish my dry and brittle hair, which was especially damaged at the ends. From what I was told, this treatment brings back the hair's natural shine and softness, while still protecting my current hair color. My stylist for the day, Rocky, ushered me to the hair washing area (which was very comfy, by the way) where he used the Rejuvenating Shampoo. Props to Rocky for being careful with the hair washing. No shampoo went into my ears. All that was left after the rinse was the gentle but addicting scent of the shampoo! While my hair was still damp, the Deep Repair Masque was applied, from the hair ends first up to the roots. I was also given a head massage which helps relax the scalp and get the product absorbed. After a few minutes, Rocky put a shower cap of my head to let the masque be thoroughly absorbed by my hair and scalp. Then, just when I thought I'd be left alone for a whole 30 minutes, I was given a back and arm massage instead. I asked if this is a protocol when it comes to giving hair treatments. And yes, I was told it was. 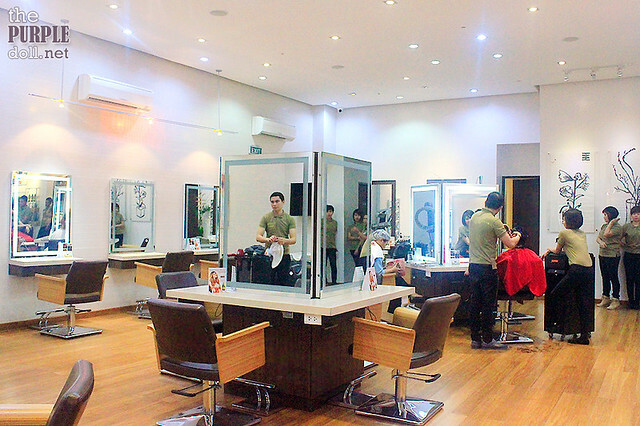 Every hair treatment at Piandre Salon has a bonus of back and arm massage. Bongga! I was again ushered to the hair washing area for a rinse before my hair was blow-dried. 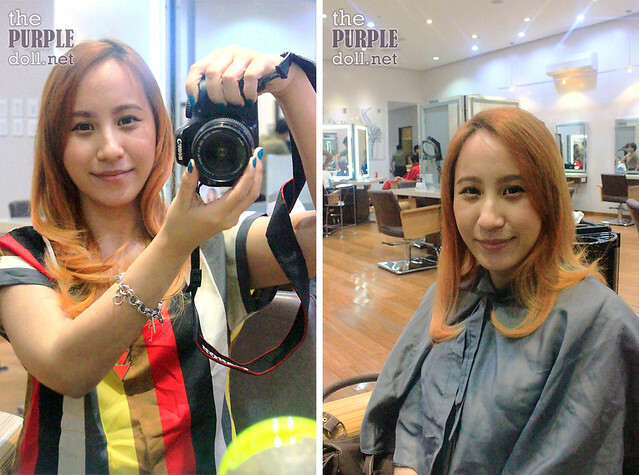 After the styling, it was when the Healing Oil Treatment in spritz form was applied to the ends of my hair. By the way, I was told the Healing Oil Treatment can be applied either before or after blow-drying the hair. 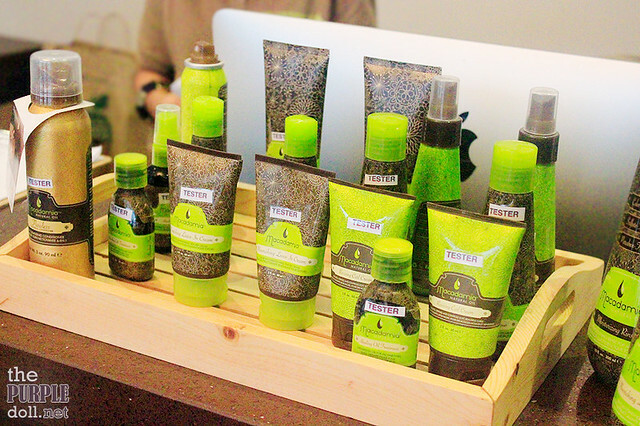 It's also said to reduce the drying time of damp hair. Will be sporting colored BUT healthier hair for next 2 weeks! TA-DAAAA! After over an hour of hair pampering, here's how my tresses look like. Although I don't have "before" pictures to show here, I can attest to how my hair, especially the ends, became soft and shiny after the treatment. 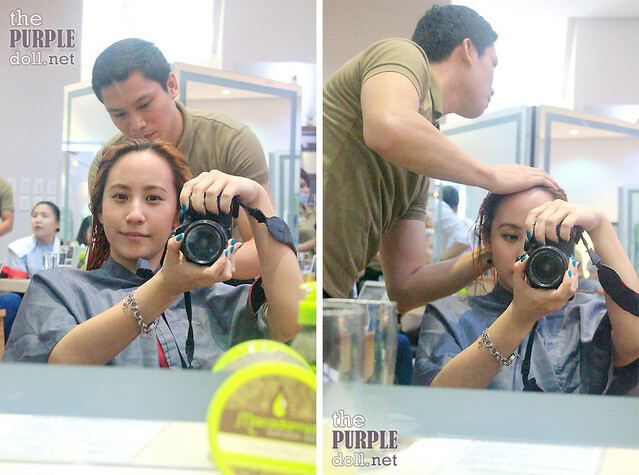 Before I went in to Piandre Salon, my hair ends were dry and didn't feel like hair at all. They felt like thinner walis tambo for the most part. But when I walked out from the salon after the Macadamia Natural Oil Hair Treatment, my hair, even the ends, felt like strong, healthy hair. I can never be happier to discover Macadamia Natural Oil. The treatment really did my hair wonders. And while it's been 5 days already since I had the treatment, my hair still looks as nourished. 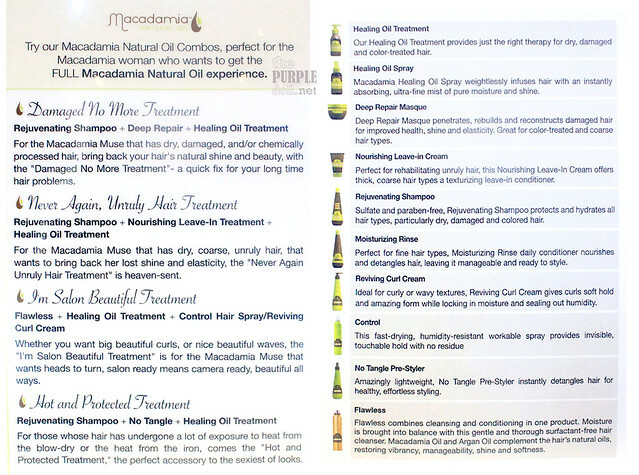 So for everyone out there who has dry, brittle or damaged hair (or those with healthy hair who wants to make their tresses look and feel better), try the Macadamia Natural Oil line of products. You can have the treatments done at Piandre Salon, or even buy the products so you can do it in the comforts of your own home. For more information, visit Macadamia Natural Oil PH's Facebook and Instagram. Hi Anon! I'm not so sure how much the Damaged No More Treatment cost at the salon, but you can call up Piandre's hotline above to inquire. 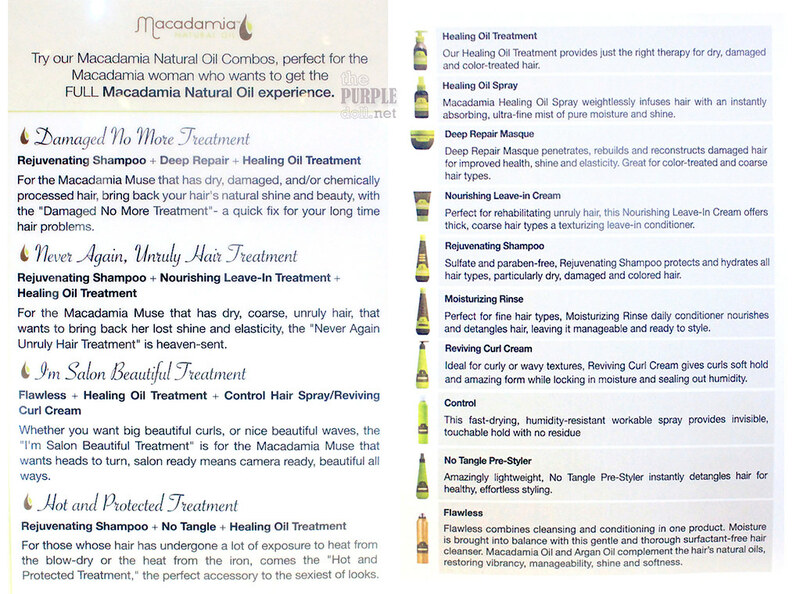 :) They have 4 kinds of Macadamia Natural Oil hair treatments available as far as I know. Looks nice and all but how much was the treatment? Would love to know cost so I could treat my wife to this pampering treatment. Have tried hair loss treatments satisfying but would love to check out other stuff. Genji M: Ready Set Go Lunch Promo and More! Patience Delivers: Slow-cooked dishes taste best!